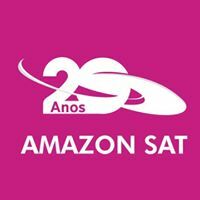 General TV Channel / Amazon Sat is a Brazilian television network headquartered in Manaus, capital of the state of Amazonas. Belongs to Amazônia Cabo LTDA, the same group that manages the Amazon Portal, CBN Amazônia and Rádio Echos. It has as its gender, the social theme of the Amazon, in which it is located. It covers 5 states of the North Region through Open TV (with branches and retransmitters) and 6 states of the North Region through Closed TV. There is also the possibility to watch programming through your website and iOS, Android and Windows Phone applications.